If you can’t find what you’re looking for in StarCat, ask library staff! Just because it’s not owned by an STLS library, doesn’t mean you can’t get it. The Southern Tier Library System provides us with interlibrary loan services that allow us to obtain materials from across the country! How it works- Tell a staff member you are looking for a book, but can’t find it in StarCat. We may ask that you provide us with additional information about the book to make the search easier and to guarantee we are asking for the right book. We will place a request and when the book comes, you will be notified. There is no guarantee for how long it will take the item to get to us. Also, due dates are set by the lending institution and may not follow our 4 week lending period. 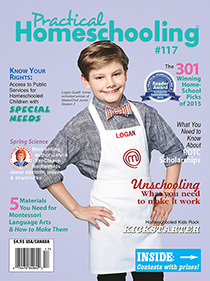 We subscribe to Practical Homeschooling!